A lot of people use Microsoft Office as a primary way to create, edit, and manage their documents. The Office does have a built-in document recovery feature that allows you to recover lost, corrupted, and deleted files, however sometimes certain files are hard to get back. For such Office files, you will need to use a professional Office recovery software. There are several situations that may cause your Office file(s) to get corrupted, lost, or deleted. Most of these situations are system errors but there are some that may occur due to human error. Sudden Windows computer crash due to power outage, hardware failure, or other reasons can sometimes corrupt or delete the document you were editing at the time of the crash. 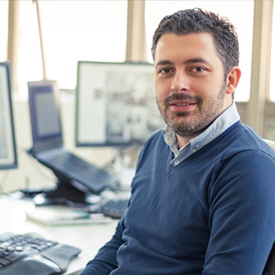 When you restore your Windows via Windows built-in Recovery feature, it does not back up any data which may cause your office file to get corrupted, lost, or deleted. Sometimes an internal error causes the partition of the hard drive to get erased unexpectedly. It results in sudden file deletion and Office files are some of the first ones to get deleted or lost. A bad hard drive sector or other issue can corrupt the files (such as Office files) saved on it. In this case, Windows fails to recognize those files. A virus or malware can easily delete your recently saved documents. Sometimes a sudden system crash can format the hard drive or its partition(s), hence deleting your Office files. iMyFone AnyRecover is the best Office files recovery freeware that is equipped with several advanced features. If you have failed to recover your documents via the built-in Office recovery feature, then it is highly recommended that you give AnyRecover a try. This tool has a high data recovery rate as it utilizes state-of-the-art data scanning and recovering algorithms. Recover any type and size of files quickly via this tool. There are no limitations, you can recover as many files as you want. It supports many devices including memory cards, hard drives, solid-state drives, flash drives, and more. There are separate modes for each of these devices. Quickly recover files regardless of how they were deleted e.g. formatted, virus/malware attack, corrupted, OS crash, lost partition, etc. Preview and individually select files before you recover them. It makes it easier for you to find the files that you specifically wish to recover. Step 1. Download iMyFone AnyRecover from official website and install it on your computer. Step 2. Launch the software and select an appropriate recovery mode from its home interface. For recovering Office files and documents, it is recommended that you select the ‘Deleted File Recovery’ mode. Step 3. Now you will need to navigate to a location on your computer (folder, partition, etc.) for scanning for deleted files. Click on the Start button after navigating to that location to start the scanning process. Step 4. Once the scanning is complete, browse and preview the files that are recoverable and recover the ones that you want by selecting them and then clicking the ‘Recover’ button. How to Increase Chances of Successful Office File Recovery? 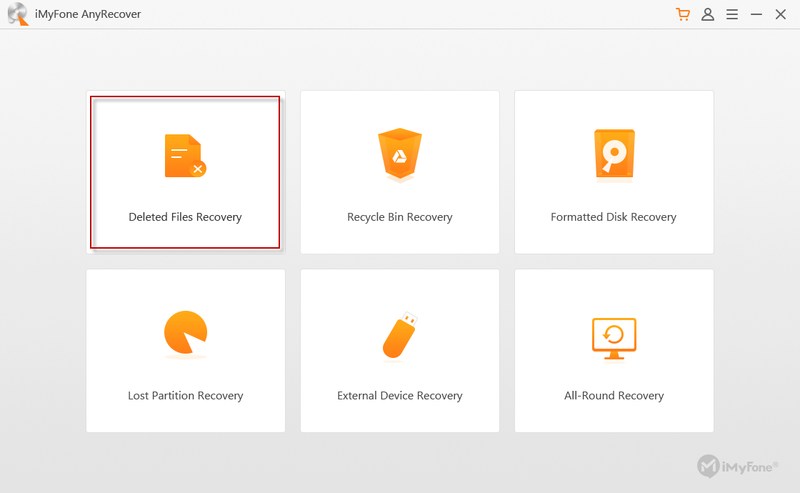 While a professional data recovery tool such as AnyRecover can help you recover files easily most of the times, you can increase your chances of successful Office file recovery by following a few simple tips. When you are recovering files via iMyFone AnyRecover, make sure to save the recovered files in a location other than their original location. It would be a good idea to save them in a different partition altogether. The reason behind this is that saving them in the same location as the source files can sometimes make them irrecoverable. Don’t give up if a certain data recovery mode fails to recover your Office files; it is recommended that you give All-Round Recovery mode a try as this may recover files that have failed to recover via other modes. Don’t write new data in a folder/partition of the hard drive on which your files were lost. It decreases the chances of successful file recovery. Recover your deleted files first, then save as much content there as you wish. It is very important that you don’t interrupt the data recovery process once it has started. Interrupting it can corrupt the files that were recovering and decrease the chances of recovery the next time you try it.